I support equal pay for equal work! Texas women make 79 cents for every dollar a man makes. And to make matters worse, African American women in Texas make 57 cents and Latinas 45 cents for every dollar a man makes. But Republican candidate for Governor Greg Abbott—who as Attorney General both pays women $5,815 less than men and defended pay discrimination in court—said he would veto a Texas Equal Pay Act if elected Governor. His Republican running mates Dan Patrick, Ken Paxton and Glenn Hager agree. Enough is enough. Sign your name and send a message: Texas needs leaders who will pass an Equal Pay Act that protects women from pay discrimination. I support a common sense equal pay law. It’s absurd that Texas women are paid 79 cents—and African American women and Latinas far less—for every dollar a man makes. And it’s even more outrageous that Republicans running for office in November don’t seem to care. Greg Abbott proudly proclaimed he’d follow in Rick Perry’s footsteps and veto equal pay legislation if elected Governor this November. All the good ol’ boys at the top of the GOP ticket seem to agree: women are worth less than men. Republican Lieutenant Governor candidate Dan Patrick, Attorney General candidate Ken Paxton, and Comptroller candidate Glenn Hager all voted against the law that would make it easier for women to fight back against wage discrimination. Election Day in Texas in November 4, 2014. I pledge to educate my friends and family on this critical law and the politicians who oppose it by advocating for equal pay for equal work. Though 42 other states have passed equal pay laws, Republican candidate for governor Greg Abbott has said he would veto a Texas Equal Pay Act. Abbott's response—that existing laws are enough—was discredited by both the Texas Supreme Court and the Fort Worth Court of Appeals, who have ruled that state law is insufficient, and that Texas must pass its own version of the Equal Pay Act. The federal version of the law offers protection for women in federal courts, but does not in state courts, which can provide more affordable and timely judgments. For more background information, please visit the Progress Texas website. 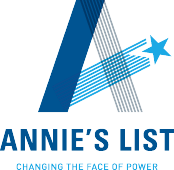 Joint campaign brought to you by Progress Texas and Annie's List.